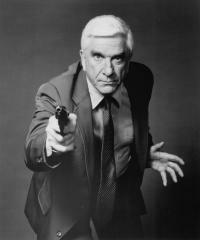 frankdrebin had the most liked content! taxi to pattaya from bkk updates ? In many places, including the hole in the wall, if they think you are a softie farang they will give you softie food, I always tell them to make "same same" as they eat and then they will give you proper food. I guess they are used to some people thinking they can eat spicy food without realising quite how fond of chillies they are in Thailand, so their "default" for foreigners is what other people have mentioned. After a few nights out with various GGs & LBs on first trips to Thailand I have found you have to tell them you want it the same way they eat or you'll end up with the Thai equivalent of spaghetti hoops. I couldn't believe the difference in the quality of food once they realised I would eat the the same as they would eat themselves. I don't have any specific choices but I've tried lots of different dishes and enjoyed them all, plus it's dirt cheap. I love red curry and that's always good, plenty of chilli heat. A great place to eat is the "Hole in the Wall" on Soi Buakhao. It's pretty much opposite the Katesiree House And next to one of the many goldsmiths... the hole in the wall is on the left in the pic below from google... And if you stand in the middle of Soi Buakhao looking towards central road (by the way standing in the middle of any Thai road is not to be recommended) the street view is as below. You can see the LK Metro sign on the left about 50 yards down the road. Cheers O. I did wonder about the bags as they would obviously go straight through and be loaded on to the plane. The problem is I am already on autopilot when I travel so I never remember stuff like this - all airports are the same to me. Does that make me airportist?